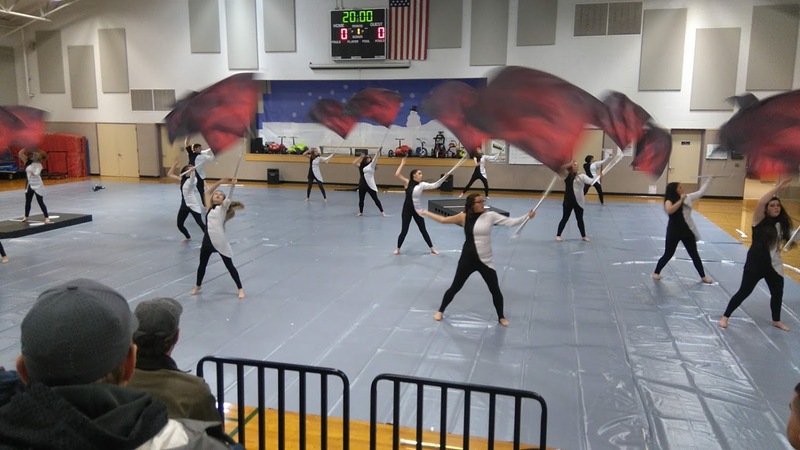 The Winter Guard made their season debut on Saturday and according to Mr. Barton they did great and are on track to having a really good year. I managed to catch their performance for parents on Friday evening and besides enjoying the exhibition was taken by the look of the show. It’s a striking contrast of black and white with red accents. By the way, Sheri Barton deserves credit for making all the uniforms. I have no idea how she got all them done in such a short amount of time. Next up is the Percussion Premier Show for the Winter Percussion. This Saturday they are off to Glencoe High School and will be performing at 12:40 p.m. and 5:30 p.m. Nick will be sending out a request for parental help for this show, so if you are the parent of a percussionist, key an eye out for that. Even if you’re not a parent of student in the Guard or Percussion, you are still welcome to help with these groups. Reply to this email and I’ll be happy to connect you with the appropriate people. 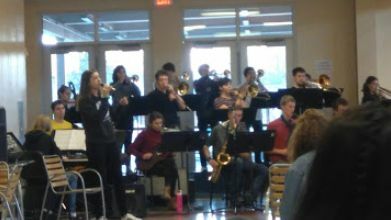 The Jazz Band has a tradition of having an early morning performance in the commons at the end of the first semester, and even though there is a library located there now, last Thursday they kept the tradition going. And with the new carpeting and all the book shelves, the acoustics are quite a bit better. Winter Percussion Premier Show – Saturday, February 9 @ Glencoe High School. More information here.